ABC is cooking something up for the holidays. Today, the network announced The Great American Baking Show will return for a third season this December. 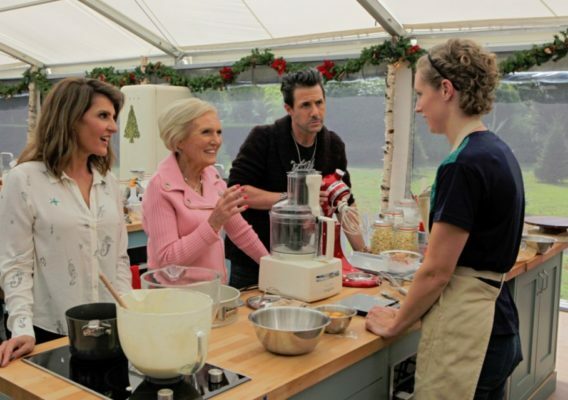 Based on the hit UK TV show The Great British Bake Off, the cooking competition series pits amateur bakers against each other in a series of culinary challenges. Ayesha Curry and Anthony “Spice” Adams will host. It’s back! “The Great American Baking Show,” based on the U.K. sensation, “The Great British Bake Off,” returns for a third season on ABC this December. Hosted by New York Times best-selling cookbook author and television personality, Ayesha Curry, and former NFL star and media personality, Anthony “Spice” Adams, this dynamic duo brings “The Great American Baking Show” a delicious new dash of holiday-themed recipes and competition this December. What do you think? Have you seen The Great American Baking Show? How does it compare to The Great British Bake Off?